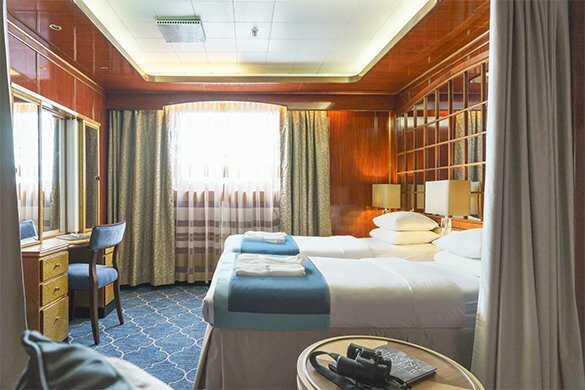 If you are someone who wants to enjoy a Western Australian cruise, visiting amazing places with breathtaking scenery while at the same time experience the ambience of a luxury cruise vessel with fantastic amenities, then look no further. 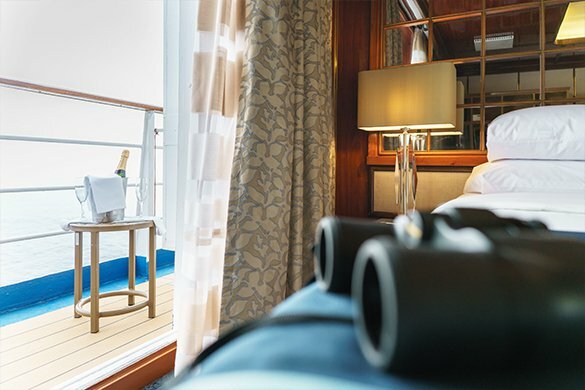 Here at Expedition Cruise Specialists, we love expedition cruising and our team of cruise specialists are trained and experienced to help you make the right decision for your adventure. We are so much more than just another travel agency, we are people just like you and we know exactly what it takes for an expedition cruise to tick all the boxes. 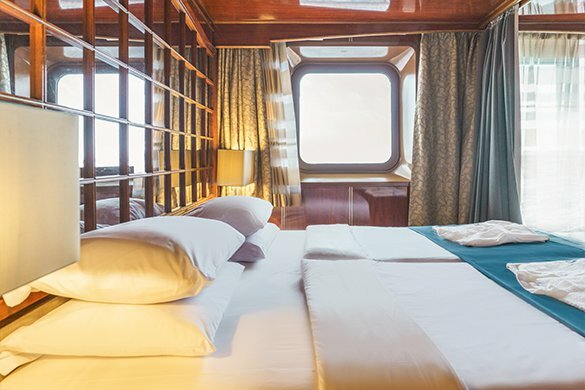 With so much choice available, the world of expedition cruising can be confusing to the newcomer. It would be a costly mistake if you choose the wrong cruise. You need to find the right ship, the right itinerary and the right time of year to sail. It has to be said that Australia has some of the most spectacular locations in the world, and the Kimberley region is right up there for incredible scenery and wildlife. 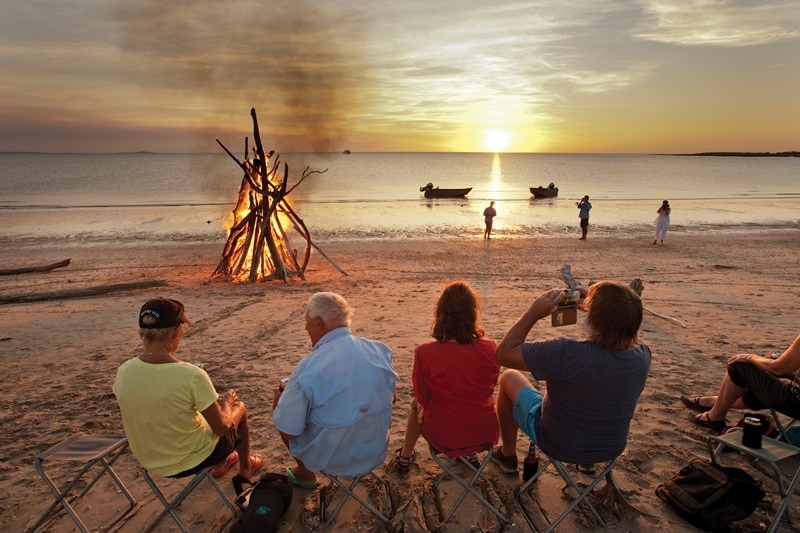 The region known simply as The Kimberley takes its evocative name from its most imposing landmark; an ancient mountain range visible from the rugged sea coast. 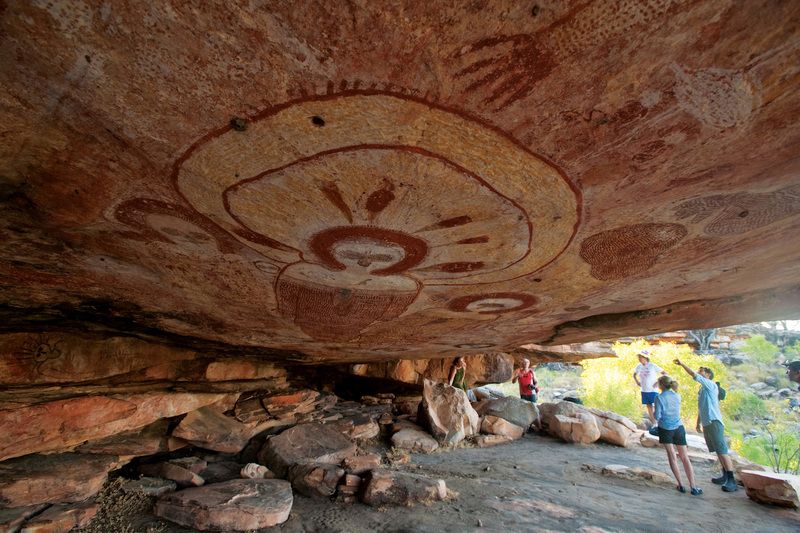 This is a land steeped in ancient Aboriginal culture and adorned with the world’s oldest known indigenous art, the mysterious Bradshaw (Gwion Gwion) paintings. However so few people get to see and experience the beauty and awe of this amazing part of the world. The terrain is rugged and not easily accessible to mainstream vehicles or tourists wanting to go it alone. 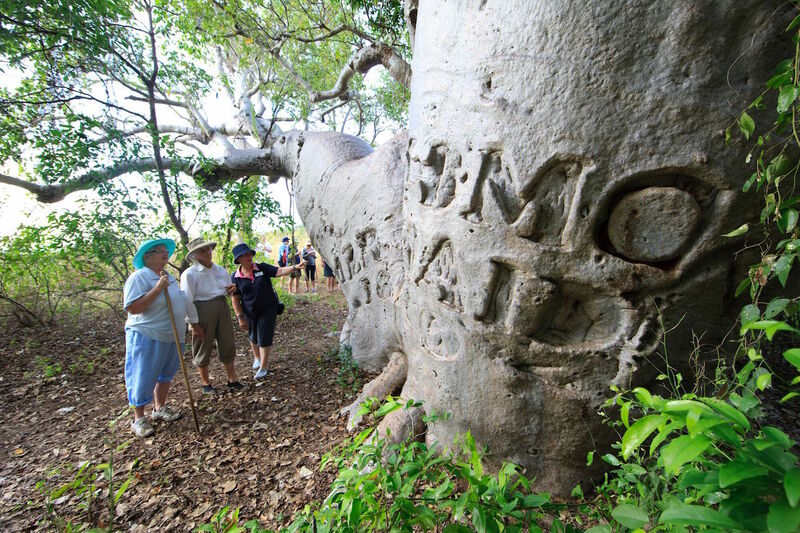 The easiest and safest way to visit these remote areas is with professional and experienced tour guides who know the area well. Now can you imagine yourself embarking on an amazing adventure to the Kimberley region in the comfort of a luxury expedition cruise ship? It’s true, this is on offer and is an absolute must for anyone who wants to get out there and do it in style. Cruise the stunning waters of the Australian coastline on board one of several magnificent vessels. We have carefully crafted cruise and touring itineraries to allow guests the opportunity to ‘experience the destination’ - daily activities include scenic walks, helicopter flights, fishing, culture, picnics, nature, exploring and much more! 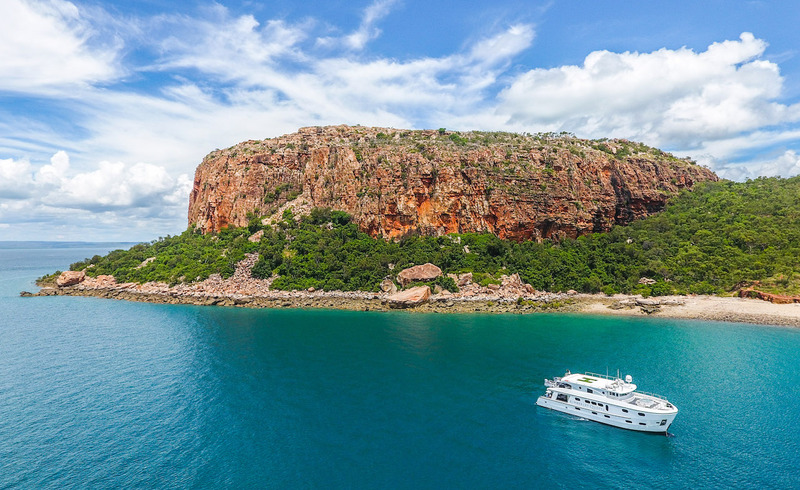 Expedition cruises along the Kimberley coast in Western Australia are only possible during the dry season between late March and early October each year, when weather conditions are ideal. For more inspiration, contact us (Freecall within Australia) on 1800 90 20 80 or email [email protected] on and we will be happy to help you start planning an adventure of a lifetime. 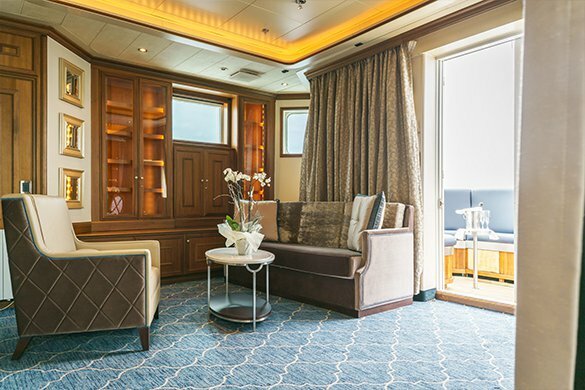 One of our favourite polar vessels the M/V Spirit has just returned to service following a multi-million dollar refurbishment of all 54 passenger suites. Each suite has been completely refurbished with new carpeting, draperies, bed linens, upholstery, new furniture and fixtures. 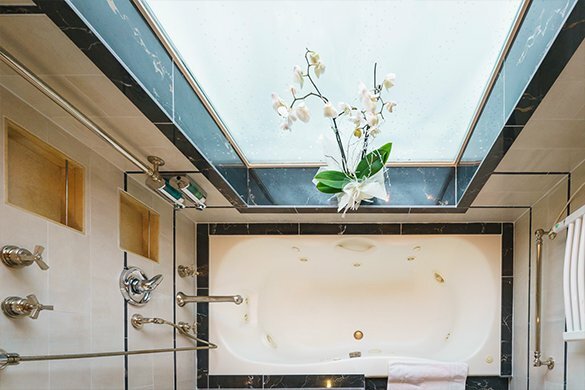 Best of all, all bathrooms are completely renovated with new tile throughout, stone vanity top with integrated mirror, designer sink and rain shower. A welcome retreat, indeed, after a day of exploring the polar world! Check out our photo gallery below to see some photographs of the stylish new suites. 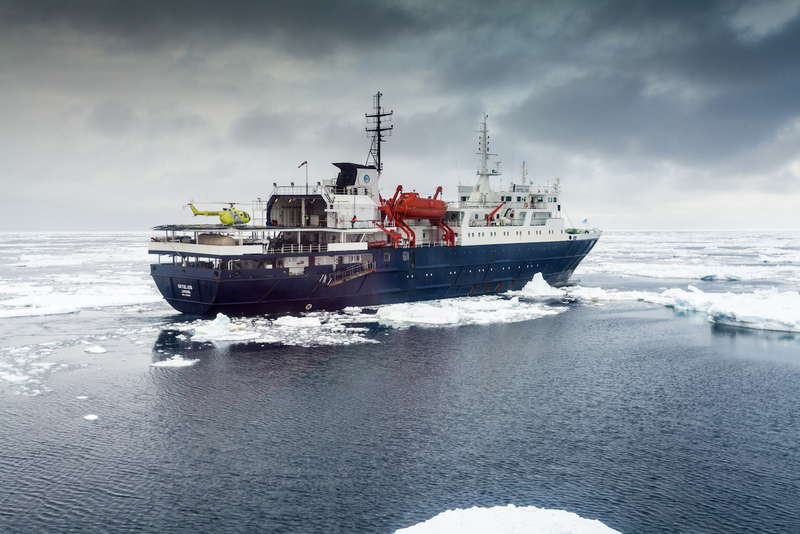 If you would like to experience the upgraded Sea Spirit for yourself, we still have a few rooms left for the coming 2017/18 Antarctica Season, and some great Earlybird offers (be quick as they finish soon!) 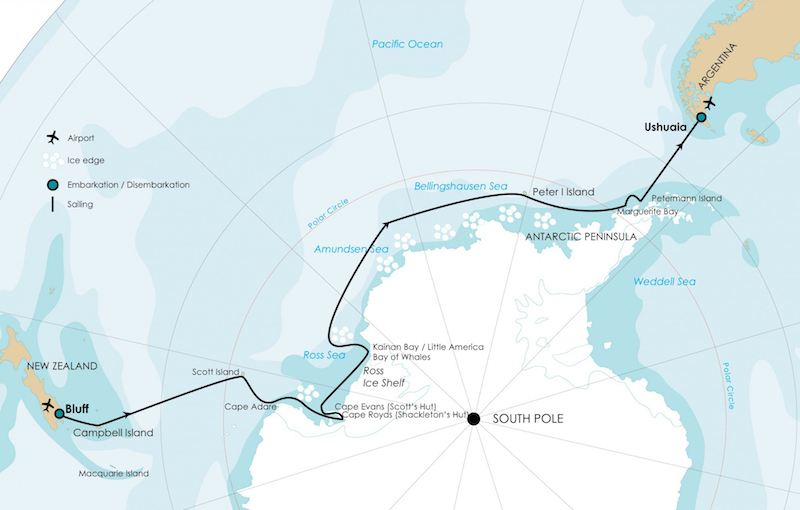 on 2018 Arctic voyages and 2018/19 expeditions to Antarctica. If you’re a keen snorkeller looking for your next holiday idea, we’ve pulled together 10 of the best places to snorkel around the world on an expedition cruise. The list, in no particular order, includes bucket-list destinations like Australia’s Great Barrier Reef and the Galapagos Islands through to little known paradises like Kiribati's Southern Line Islands and Raja Ampat. 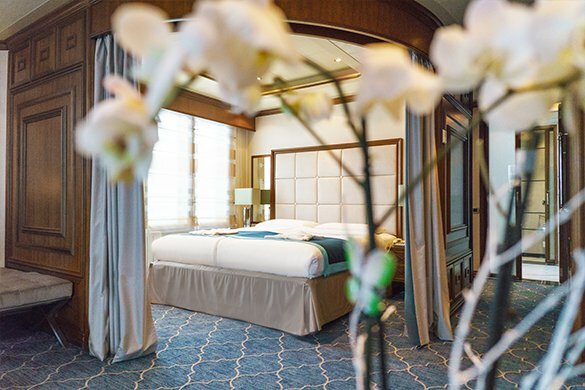 Contact the team at Expedition Cruise Specialists to start planning your next great adventure today. The UNESCO World Heritage-listed Great Barrier Reef is at the top of the bucket-list for water lovers. Stretching over 2,000 kilometres along the Australian coast, ‘the Reef’ wows visitors with its colourful corals and amazing sealife. Although coral bleaching is a concern, there are many parts of the reef still worth seeing (check out our recent blog on this topic). Three, four and seven-night expedition cruises depart Cairns aboard Coral Expeditions II each week. Home to over 70% of the world's known coral species, incredible marine life and outstanding natural beauty, Indonesia's Raja Ampat should be on every snorkeller’s bucket list. 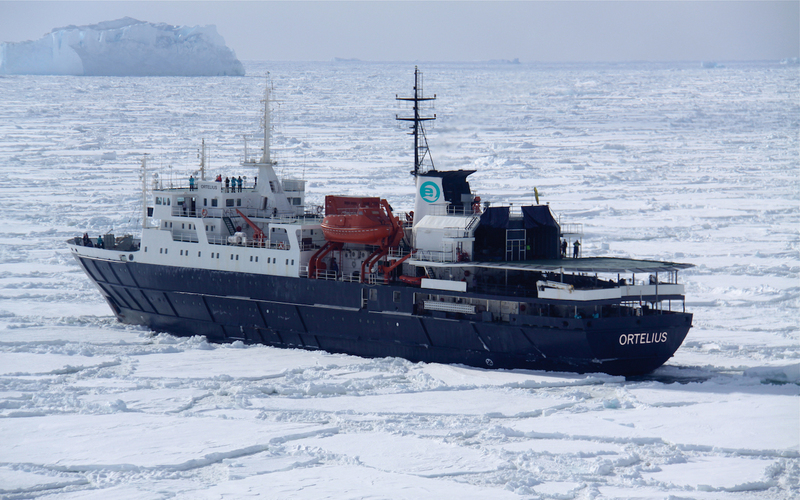 There’s expeditions on offer on various ships, including True North, Coral Discoverer and the Ombak Putih. The dazzling undersea of the Belize Barrier Reef is second only to the Great Barrier Reef in terms of biodiversity. 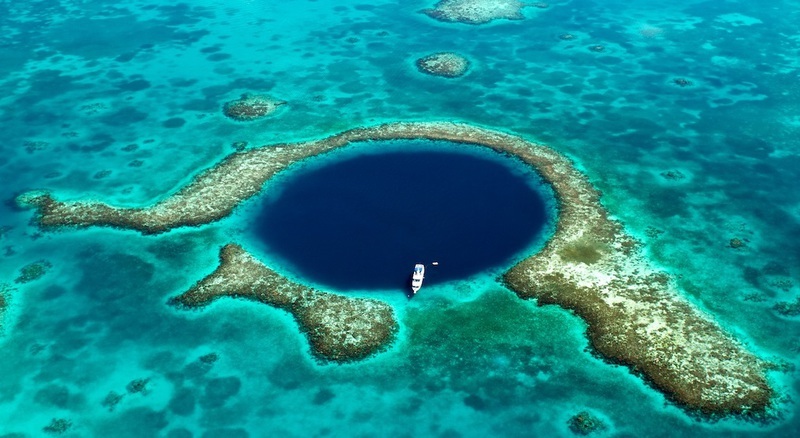 You can snorkel and dive it on National Geographic Quest’s 9 Day Belize and Guatemala expedition cruise. An 8 day cruise aboard National Geographic Orion takes you from Tahiti to Kiribati’s Southern Line Islands. It is one of the healthiest reef systems in the world and a rare place virtually unmarred by the touch of humans, which is why it was identified by the National Geographic Pristine Seas project as one of the few places researchers can study to see how reefs and undersea ecosystems looked before humans. Hop from island to island aboard Variety Cruises’ 44-passenger Pegasus and snorkel over colourful coral reefs on this memorable eight day small-ship expedition around the Indian Ocean’s beautiful Seychelles. 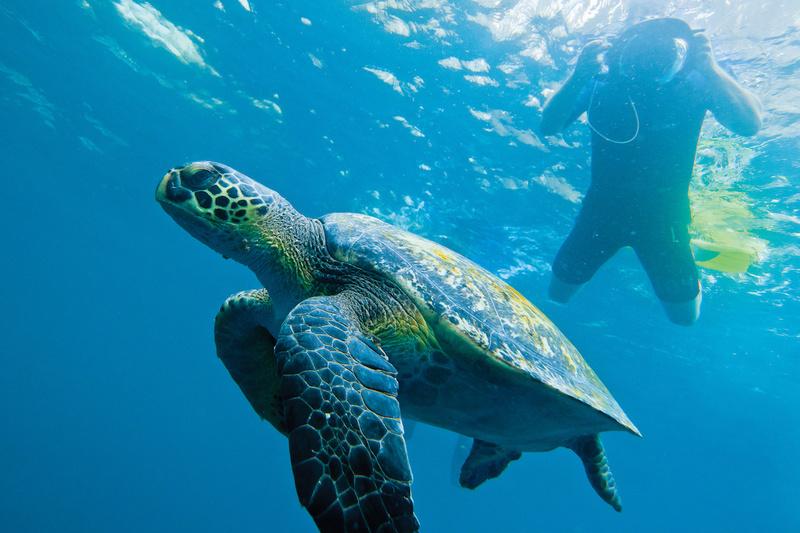 Snorkelling in Ecuador’s offshore Galapagos Islands is all about the marine life. You will be able to snorkel with marine iguanas, frolick with sea lions, green sea turtles, Galapagos penguins and an incredible variety of colourful reef fish. 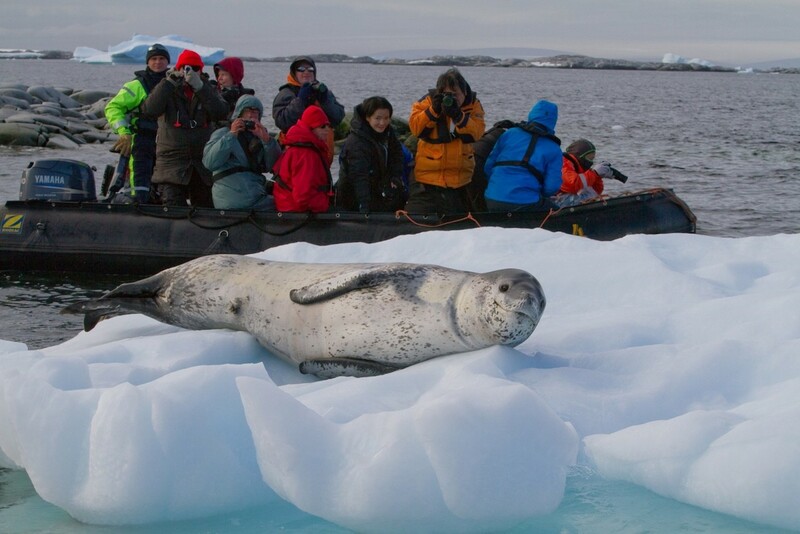 National Geographic Endeavour II, Ocean Spray and Sea Star Journey all offer week long expeditions in this nature-lovers’ paradise. The Louisiade Archipelago offers some of the finest snorkeling in the South Pacific. 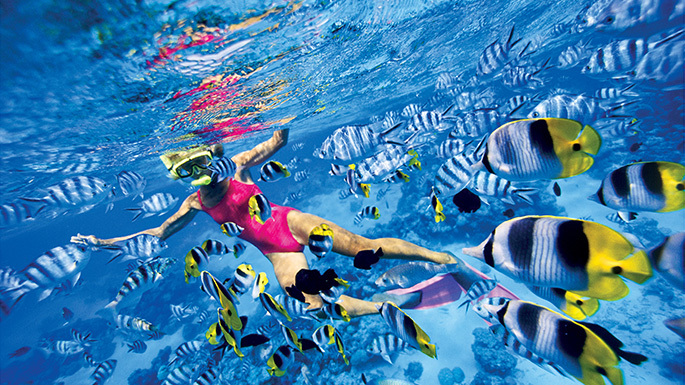 There’s thrilling in-water activities at “Fish City” on Rossell Atoll and colourful corals at Egum Atoll to explore. 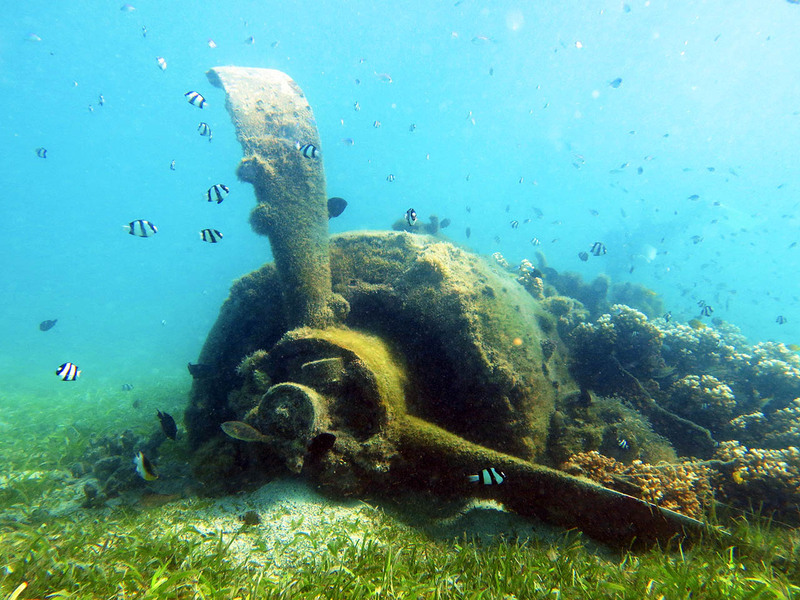 You can even snorkel and dive over WWII aircraft wrecks. You can experience Melanesia aboard the True North. Located well off the vast coast of Western Australia, the Rowley Shoals and Abrolhos Islands offer spectacular snorkelling opportunities. 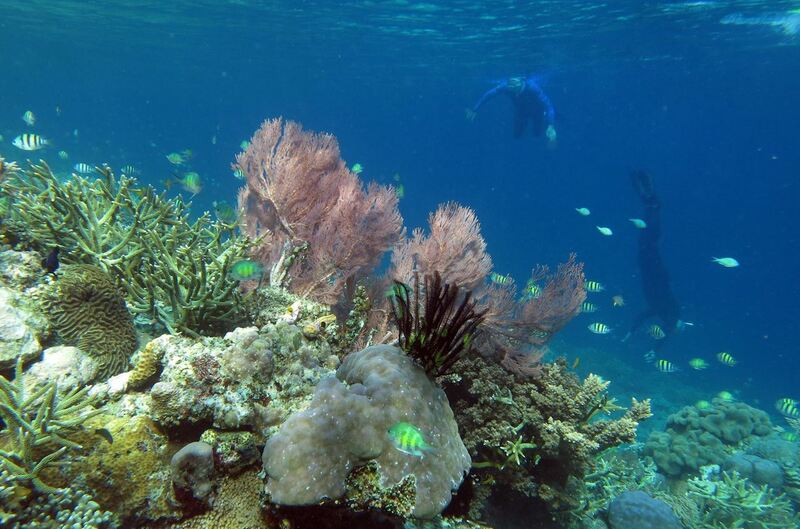 Rarely-visited, the reefs are particularly well-preserved with myriad sea life to view. In the Abrolhos Islands you can also snorkel over the wreck of the legendary ship Batavia. 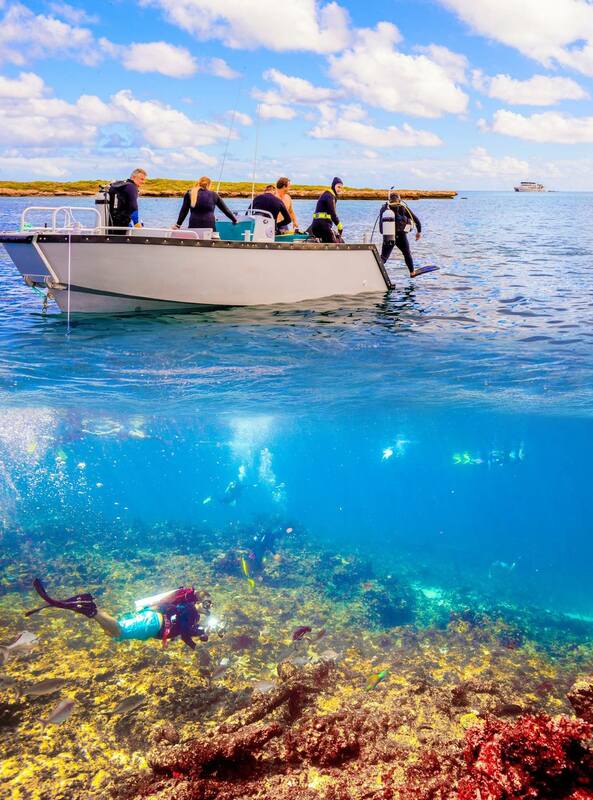 Visit the Rowley Shoals aboard True North, and the Abrolhos Islands aboard Eco Abrolhos. 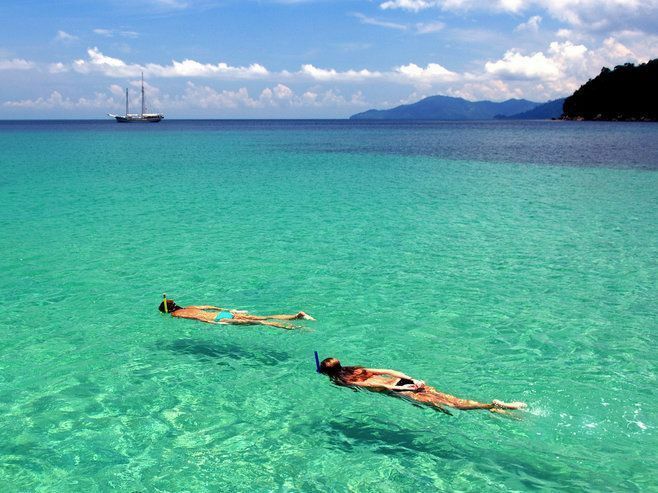 Myanmar’s (Burma) Mergui Archipelago offers some of Asia’s best snorkelling - along with the interesting Moken culture of the ‘Sea Gypsy’ people. Only recently opening up to tourism, many of the best snorkelling spots can be found in Lampi Marine National Park. Discover it all on an 8 day expedition aboard the Andaman Explorer. Antarctica might be a surprising addition to our list as we tend to think of snorkelling as a warm water activity. Luckily, on their cruises Aurora Expeditions supply specially designed Waterproof© Snorkel-Drysuits, gloves and a hood to keep the icy-cold polar waters at bay. Through crystal clear waters snorkellers will discover the amazing mobility and speed of penguins entering and exiting from the ice, marvel at the beauty of sculpted icebergs below the water and also witness marine life such as crustaceans, isopods, starfish and nudibranchs. 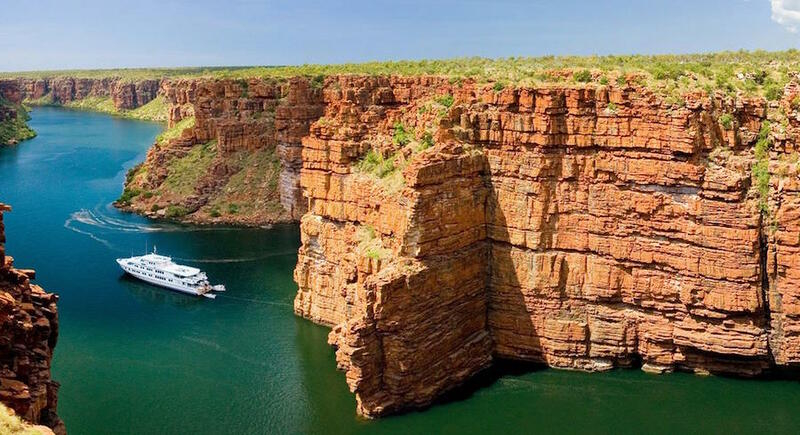 If you are looking for the perfect destination for your next holiday in Australia, you need to consider Kimberley cruising with Expedition Cruise Specialists. 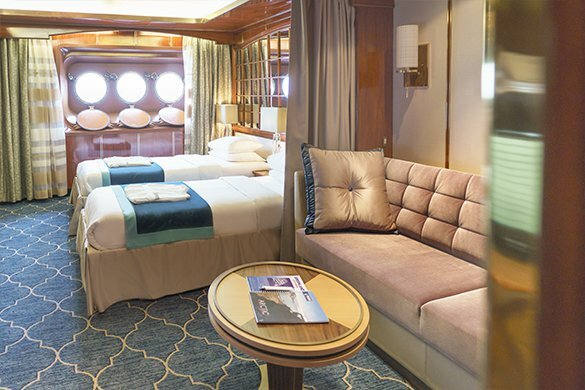 Kimberley cruising is by far the most outstanding holiday option for those who enjoy first class accommodation, fine food, excellent service and exceptional itineraries that are designed to allow guests the opportunity to really experience the destination. 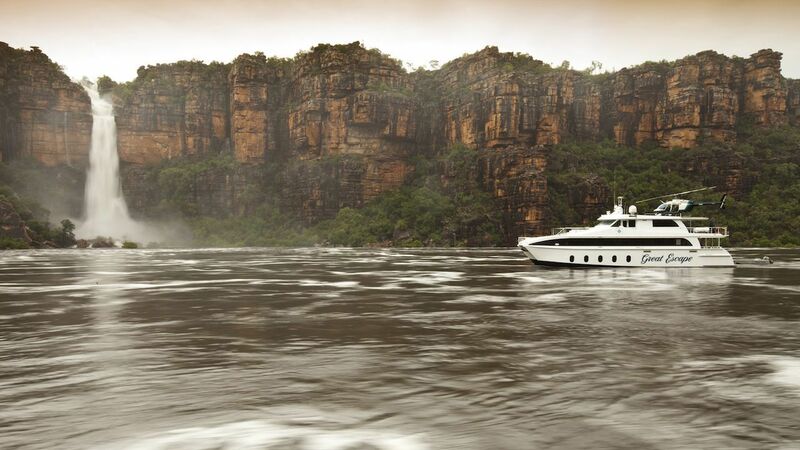 The Kimberley region is one of the most stunningly beautiful and unspoilt destinations in the world. To really appreciate the magnificence of this remote paradise, you need to be able to get up close and feel the spray of the waterfalls, listen to the calls of the wildlife and breathe in the freshest of air. For an unforgettable experience to treasure for the rest of your life, sail on one of the multiple expedition vessels that take guests away in small groups to experience wilderness ‘up close’ and, to add yet another dimension to your adventure. 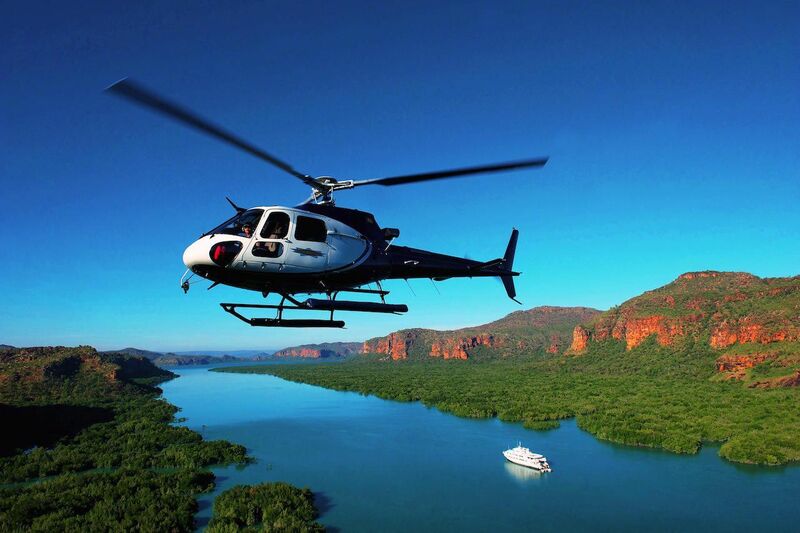 Several of the Kimberley Cruising options even feature an onboard helicopter. 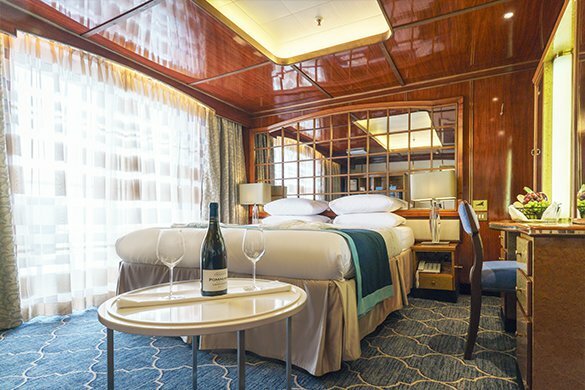 The team at Expedition Cruise Specialists will be able to help you plan your dream Australian holiday on one of their magnificent vessels that will provide you with the luxury of first class accommodation and service as well as exclusive day tours to remote and stunningly beautiful locations. Cruises on the Kimberley Coast only operate in between mid April and October each year, due to the rest of the year being prone to uncomfortable hot, humid weather conditions and the chance of cyclones. 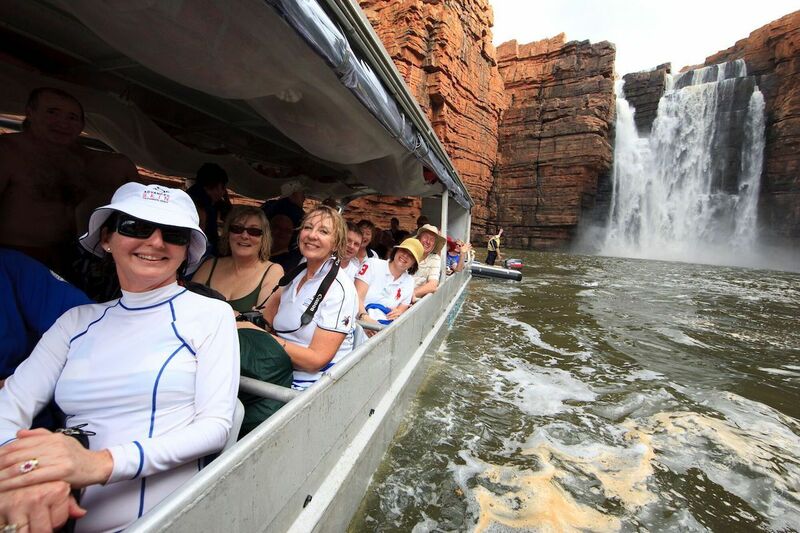 Iconic waterfalls are one of the main draw cards of the Kimberley Coast, including the towering 80-metre King George and four-tiered Mitchell Falls. The landscape will be covered in a brilliant green hue, as vegetation regenerates with the rains. If you have had enough of the cold winter then June and July are probably your best and most popular time of year to travel to the Kimberley, because this is the Dry Season and the weather is characterised by clear blue skies and balmy days. The iconic King Cascades on the Prince Regent River are spring fed and will have a water flow year round. The Kimberley Coast is the world’s epicentre for whale watching with up to 30,000 humpbacks making their annual journey from the Antarctic feeding grounds to the warm tropical waters to breed and give birth. Often your skipper will idle the ship’s engines so these amazing creatures can put on a playful display around the ship. The wildflowers are also blooming, covering the ground in a carpet of colourful native blooms. The three seasons for cruising this awesome region are all very special in different ways, offering a completely different tour experience.